Planning Social Media Content During the Super Bowl? Think "Useful"
It's called "Our company doesn't have $5,000,000 to spend on a :30 Super Bowl commercial but we still want to be involved". The game has a long name, but it's a pretty popular game. If you think you're the best at "Our company doesn't have $5,000,000 to spend on a :30 Super Bowl commercial but we still want to be involved" then chances are your social media strategy is on point. At VI, we've used social media for the past few years during the Super Bowl in a few different ways. 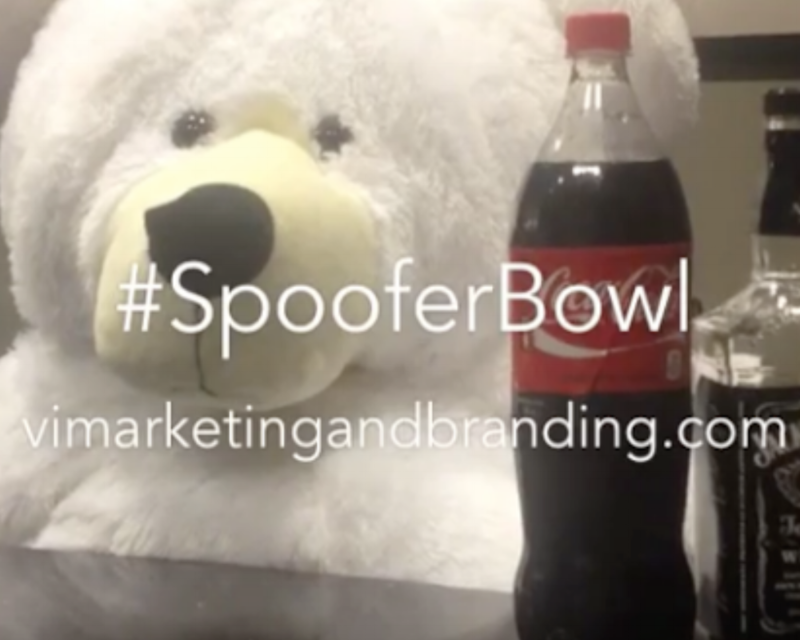 One of my favorites was our #SpooferBowl campaign. I know not every company has entire departments dedicated to: video, social, creative, copywriting, digital, etc. - but whether or not you have these departments at your disposal you need to keep one thing in mind - offer social media users something they will find useful. It can be funny, informative, news-worthy and even salesy as long as you are offering something useful. Everyone was wishing their thoughts and/or content was special, but it sure is difficult for your content to be "special" when everyone is talking about and posting the exact same thing. What did we do? Created videos social media users would find useful in that moment. With the help of VI comedic genius/Copywriter Bob Lausten we recreated and spoofed a majority of the brands that were running commercials in the Super Bowl, and then we posted our spoofs (with a little bit more inappropriate angle) immediately following the national spot to Facebook, Twitter, YouTube, Instagram - with cooresponding hastags, and company tags/names. As people watched the real commercial and then looked down at their phone/tablet/computer they were instantly hit with something in real-time: the names of the commercial brands they just watched. By seeing the video they now had something to share with their own audiences that cooresponded with the real commercial that they knew all their peers had just seen. Our spoof offered them something useful. It gave them content they could post (retweet/share) - offering timely and relevant laughs (hopefully) that they knew would be well-received from their own audiences. Were the videos salesy? Not directly. Were they funny? Most were (sorry Bob, we didn't score touchdowns with every video). Were they informative. Nope. Were they useful? As useful as a Peyton Manning having the ball with the game on the line (that means "yes"). In that very moment where everybody was looking to post content of their own opinions or links to the actual commercial, we gave them something unique. Something that stood out. Something that would make the viewer's content (when retweeted/shared) special. Was it useful? As strange as the #SpooferBowl campaign was...useful is one thing that it definitely was.